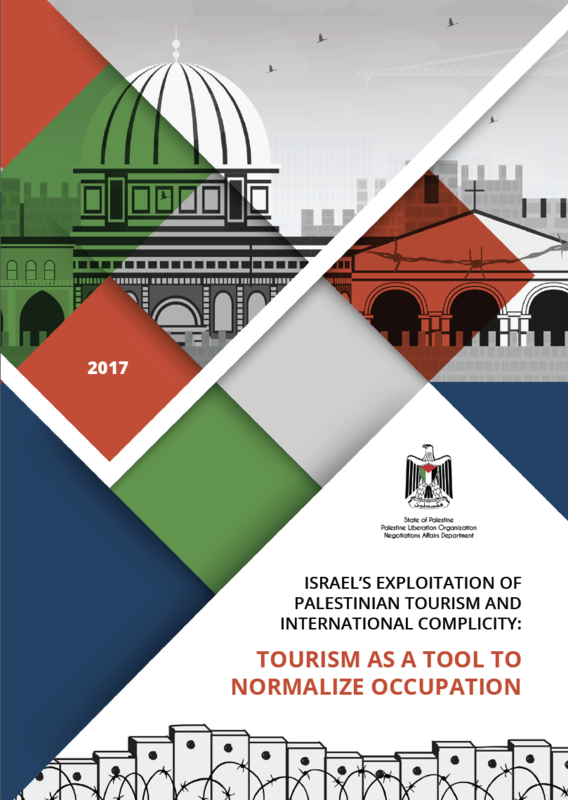 This publication highlights the exploitation of tourism as a tool to whitewash Israel's ongoing occupation and colonization of Palestine. It describes how Israel de-develops the Palestinian tourism industry while simultaneously exploiting Palestinian resources, including touristic sites, for the benefit of the Israeli economy. Through false advertising of Palestinian sites as "Israel" and a growing number of hotels, restaurants and other hospitality services located in illegal settlements, Israel seeks to normalize and further entrench its occupation. With a focus on international responsibility, the publication demonstrates how international governments, businesses and individuals are being made complicit in Israeli violations and human rights abuses, and provides recommendations to help the international community ensure it is not contributing to a process that damages the Palestinian economy, perpetuates Israel’s unlawful occupation and denies the people of Palestine their political, civil and collective rights.